The Pro Vibe 7S stem is named after it's ingenious gapless Puzzle Clamp whose interlocking design makes side movement impossible - even during bar-rocking sprints which could overstress the face plate top bolts of a conventional Aheadstem. You can understand why Team Sky riders have raced on Pro Vibe 7S Puzzle Clamp-equipped bikes. High performance lightweight oversized 3D forged 7075-T6 alloy construction increases strength and keeps the weight down. The innovative and secure Puzzle Clamp evenly spreads load through the clamp area whilst reducing stem weight. Wide bolt spacing and forged alloy faceplate further secures and stiffens clamp interface. The extension's triangular design further maximises the stem's rigidity and optimises its stiffness to weight ratio. Takes 31.8mm-centre handlebars - today's most popular size - again to reduce unwanted flex under high load by increasing strength and stiffness. The Pro Vibe 7S Stem clamps to any inch and an eighth (28.6mm outside diameter) unthreaded fork steerer. Over 95% of the adult bikes we sell today will take this size of stem, which fits any inch and an eighth unthreaded steerer, and will take any handlebar with a 31.8mm bar clamp. Manufacturer's published weight: 120 grams for 110 mm long stem. 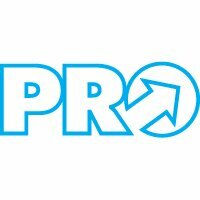 Pro is a Shimano brand dedicated to producing hardware that doesn't quite fit into Shimano's established transmission/brakes/hubs group sets: i.e. components such as seatpins, handlebars and stems. Well named, Pro is the official supplier of Pro Tour cycling teams including Sky. These bars and stems and seatpins are therefore the result of real-life R and D at the cutting edge. Best of all, Pro equipment is comparatively affordable, thanks to Pro's philosophy that you don't have to be a sponsored pro to afford the best equipment.